Comics and Collectables for Sale!!! I have some stuff cluttering up my closet to get rid of. Mostly Star Wars and Star Trek figures. These will be going on EBay as soon as I get a chance to set up an account, but I figured I would post them here first if anyone wants em'. Here is a list and asking price. I'll be posting more than one thread on these as they are image heavy. 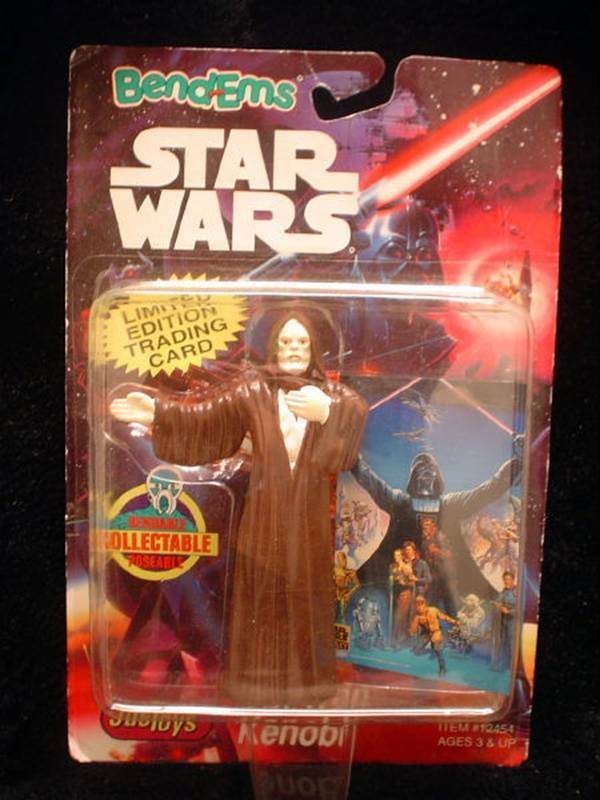 1993 JusToys Bend-Ems Star Wars Lord Darth Vader Figure with Topps Galaxy Trading Card. 1993 JusToys Bend-Ems Star Wars Princess Leia Figure. 1994 JusToys Bend-Ems Star Wars Ben Kenobi Figure. 1994 JusToys Bend-Ems Star Wars Lando Calrissian Figure with Topps Galaxy Trading Card. 1994 JusToys Bend-Ems Star Wars Gamorrean Guard Figure with Topps Galaxy Trading Card. 1994 JusToys Bend-Ems Star Wars Bib Fortuna Figure with Topps Galaxy Trading Card.